This tutorial is on how to make buttons in Photoshop. With Photoshop it is easy to make glossy web buttons. You can make use of buttons on your website or Blog. While this tutorial will only show you how to create a static button, you can with CSS and GIF, make animated web buttons. But this is a good starter. Let’s briefly look at what you will learn in this glossy button Photoshop tutorial. First you create an Eclipse, and fill with a color. To create a logo in Photoshop can intimidate you at first. But, remember it is all about font selection, and whether you choose to add designs like symbols or icons for different effects. In this Photoshop logo tutorial I will do both – I will design a logo for a fictional watch-selling company named “WATCHI”. This Photoshop lesson is easy to learn using the tools available to you. 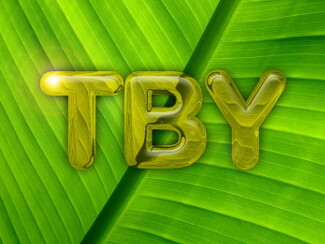 I will show you how super easy it is to create 3D text in Photoshop. The Gimp versus Photoshop. Read this to see which is the one for you! Gimp is open source and free to download. Photoshop on the other hand is expensive (CC version), but is the choice for professional graphic designers, and photographers. * Professional graphics design like website logos. * 2D animation saved a GIF files. * There are so many graphic designs to create for kids to professionals and artists.